Looking for a cold cocktail to enjoy during the hot summer months? Look no further than a pitcher of Homemade Frozen Apricot Bellinis! It gets pretty darn hot during apricot harvesting season at our place, usually in late June and early July. By the end of the day, I just want to throw up my feet and drink something cold. We are typically swimming in apricots, no complaints by me, so I grab a few, remove the pits and throw them in the freezer in the morning. By the time I finish my day, they are frozen and fabulous! Toss them in a blender, add a little lemon, some sparkling wine and voila! I feel like an apricot sippin’ goddess! Try it out and let me know your thoughts below! Puree frozen apricots and lemon juice until slushy type consistency is reached. Transfer to pitcher and slowly stir in sparkling wine. Garnish with mint. Enjoy! 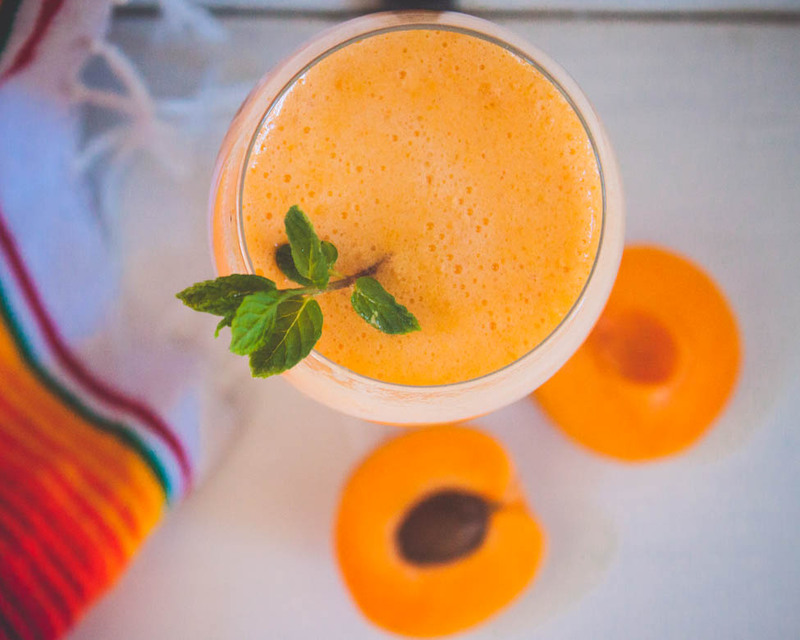 If you prefer, you can substitute frozen peaches for apricots!